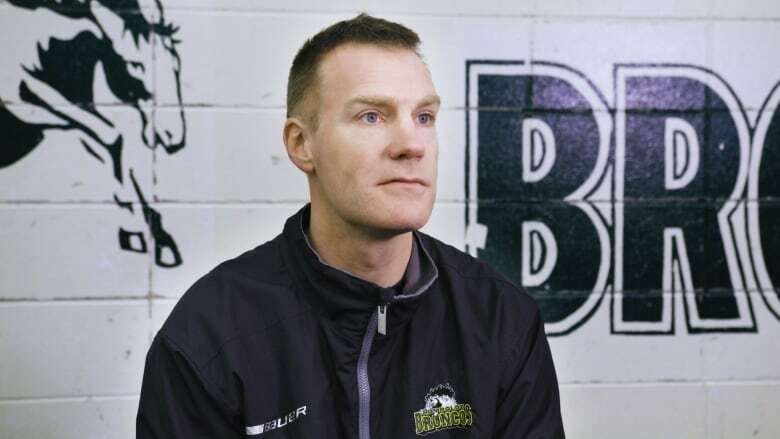 Scott Barney was thrust into a delicate situation when he took over as coach and general manager of the Humboldt Broncos this past summer. But it’s his own turbulent journey that’s allowed him to help a grieving community still shaken by a devastating bus crash that left 16 people dead and 13 others injured last April. 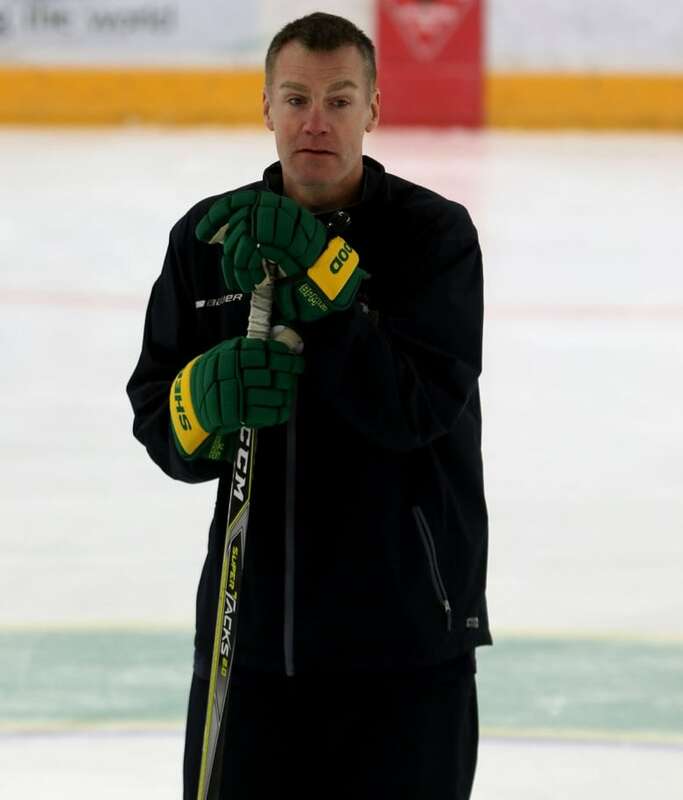 As head coach and general manager of the Humboldt Broncos, Scott Barney finds himself in a unique position. This past summer, Barney was originally appointed assistant coach of the Junior 'A' hockey team, joining head coach and GM Nathan Oystrick, whom the club hired six weeks earlier. However, Oystrick stepped down in late December, leaving Barney to oversee both duties. Barney took over the team still reeling from the devastating bus crash in April of 2018 that left 16 people dead and 13 others injured. 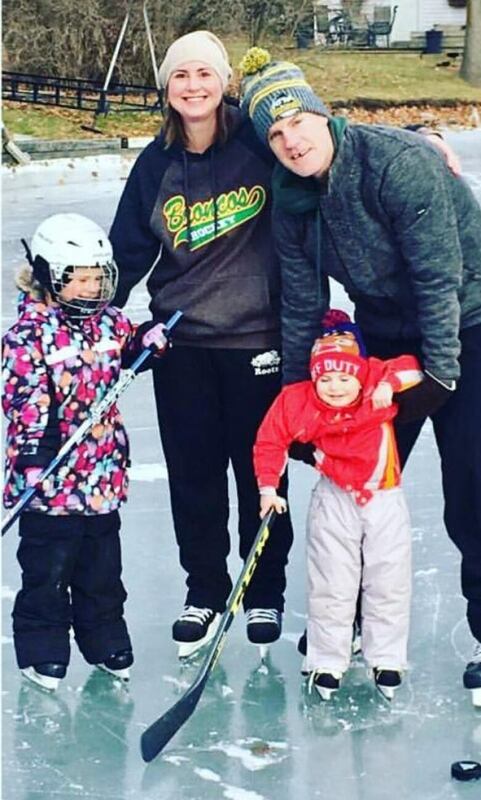 But the former NHL player is more than just a new face to the Broncos family. In fact, his journey in professional hockey — unique in itself — saw the former Los Angeles Kings draft pick suffer a debilitating back injury in 1999, sidelining him for three years. While many were certain that he would never play hockey again, Barney persevered, fighting his way back to play the game he loves, enjoying a career that took him across the globe, including China and South Korea. "I didn't have the easiest of rides with my [playing] career," Barney admitted. "But I made it with a lot of hard work and dedication over the years." To his credit, Barney overcame his turbulent journey early, helping him become an inspirational figure to others, including first-year Bronco and assistant captain Michael Clarke. "Starting out as an assistant, coach Barney was what hockey people would call a players coach," Clarke said. "He was always joking around in the room with the team and making difficult situations easy to handle. With a year like this one, it was important that we had someone the players could relate to and, better yet, look up to." Like Barney, Clarke joined the Broncos last summer. While both share that common bond, but Clarke knows Barney treats his players with the same amount of attention and respect. "If someone is lacking confidence on or off the ice, he seems to notice right away and then intervenes and builds that individual backup so that they can be mentally healthy and get back to performing well on the ice," Clarke says. "In my opinion, coach Barney has pushed our team to a whole new level. Without him, we wouldn't be where we are right now." Clarke has been making the most of his maiden season in Humboldt. He leads the playoff-bound club with 68 points — the first was the emotional first goal of the Broncos' season. Clarke and Barney's contributions have resulted in the club's recent 7-2-1-0 stretch. "For me, it's just being in the room with those guys and especially missing those three years with my back," said Barney, an Oshawa, Ont., native. "And there are some stories I can tell to relate to some players here coming back from different injuries, no matter if it was a week or maybe someone who's been through a real tragic injury. "I'm there for somebody to talk to, to relate in different ways of healing, either on the ice or off the ice. But, I always say to the guys that the best medicine is getting on the ice, getting out there and just forget about everything else that's going on." Among those who can attest to Barney's impact on the club is Broncos' vice president Maury Simoneau. "Scott is acclimatizing well to the community of Humboldt and has quickly earned the respect of our fan base," Simoneau said. "Stepping in halfway through the year wasn't an easy task for any coach and he was clearly up to the challenge. "He is a good role model for our players both on and off of the ice. His work ethic and drive to compete and be successful is evident, and is wearing off on our team. While there was some hesitance in how he would be received, Barney was quickly welcomed by the people of Humboldt. It also helps that his role expands beyond hockey. "[The Humboldt community has] been very open to me and embracing me into their community," Barney said. "Obviously, I don't know how everybody feels mentally at times or physically, but I just try to deal with every day as a new day and try to be supportive. "I tell my players that my door is always open to talk." Brayden Camrud, who survived last April's bus crash, has also thrived under Barney's coaching. In 46 games, Camrud has scored 27 goals, sharing the team lead with Clarke. Camrud believes Barney ability to build relationships with his players was the biggest key. "Right from the beginning, even as an assistant coach, he established a bond with each of us," Camrud said. "I know that he would go out of his way to do anything if we ever needed it. With everything that happened to me last year, he has reassured me many times his door is always open to talk and it makes me feel better playing for a coach who I know has our backs." Barney's role with the Broncos has been an invaluable learning experience. Joining a team and community whose perseverance through tragedy has touched all off Canada and the hockey world, the 39-year-old was prepared for the career path unlike any other. "The biggest thing for me is that you have to be open to let people talk, let people tell you their feelings and be there as a shoulder or someone to call. And always be available whether it's three minutes or if someone wants to talk for three hours," Barney emphasized. "The biggest thing is for people to talk and communication is a big part of hockey on the ice and the same thing off the ice." Barney's six-foot-four, 225-pound frame made him a force on the ice, but his patience and empathy has also made him an endearing figure off it — something that, in just a few months, has resonated heavily with a healing Humboldt community. 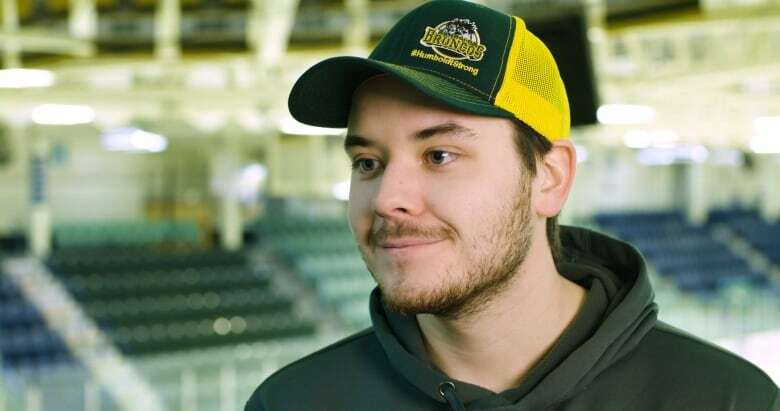 A back injury may have dealt him a setback, but Barney's resilience has allowed him to share his journey with a Humboldt Broncos team whose need for communication and desire for inspiration comes at an all-too-important juncture. "It's been an honour for myself to be behind the bench for these players," he said.